In both Agile and Lean management there are points called "retrospectives," regular and ritualized moments where a team stops to reflect. Checking processes for only a few minutes lets you re-orient the course of your work. These retrospectives allow a team the opportunity not only to celebrate or bemoan accomplishments or setbacks, but likewise to serve as a constructive way to create and direct their course. A retrospective shows us that things either went well or they didn’t, understanding that either way, there is always room for plotting the effectiveness of future work. Over the past few months, I've spoken with many people who've begun to use personal kanban. During the course of this thread, many of them have shared how they've started to deploy Kanban as a collaborative tool, using it to plan, prioritize, and do work both at home and in their place of business. Now we have to go that last step - we have to think about what we’ve done. Note: When Kanban is working really well, and you have an intimate understanding of your work, then you will achieve what Lean calls a "kaizen state," a culture of continuous improvement. At that point, you are constantly doing retrospectives simply because you are so aware of your actions, and a such, a separate retrospective may not be necessary. See the whole Personal Kanban series. It has been fascinating to watch the personal kanban meme spread through use and not through pontification. When people see a personal kanban in action, it just makes sense to them. Parents start with their own kanban and soon their kids have them and then the family shares them. Peter has one, then his girlfriend wants one as well. There are stories coming in from people who have used personal kanban or something rather like it over the last several years. Educators and therapists have been giving me excellent feedback insofar as why it works for kids. Why it works for adults. And why it has such an instant appeal. Hearing from practitioners in all sorts of fields is showing me that a visual flow-based self management system is simply how we are wired. That everyone can benefit from it has been shown time and again. The fact that kanban can move seemlessly from the shop floor to children to development teams to all everyone surely must be telling us something. People aren’t just starting to use a kanban because it’s an alternative to the to-do list. They are using it because it is expressive, fun and makes life easier. A wiki is a website anyone can edit. A kanban is a workflow anyone can edit. A wiki entry is always able to be improved upon. A kanban card is always able to be refined. In wikis, there is a constant reification of ideas. In kanban, there is a constant reification of work. In wikis, incorrect information is identified by the group and excised. In kanban, waste is identified by the group and excised. A wiki stores and displays information to make group effort available to all. A kanban stores and displays information to make group effort available to all. A wiki stores and displays information to make personal contribution explicit. A kanban stores and displays information to make personal contribution explicit. A wiki draws on the natural human drive to complete a task. A kanban draws on the natural human drive to complete a task. A wiki is self healing through social editing. A kanban is self healing through social management. A wiki is a fundamentally simple concept with massive social repercussions. A kanban is a fundamentally simple concept with massive social repercussions. Personal Kanban on Facebook and. We’ve started a Facebook group for Personal Kanban, a dedicated web site is on the way, and a book is in development. I’m still tweeting about personal kanban through my personal twitter. If you want to read the existing personal kanban series, just click the link! As always, if anyone is working with personal kanban, we’d love to see you post your experiences and pictures on twitter, on your blogs, in the facebook group, or contact us and we’ll have you guest-blog on the upcoming personal kanban site! Everyone’s stories are as individual as their work is. The more stories we can gather from different individuals and groups, the more we can punctuate how this is an adaptive tool and *not* a one-size-fits-all personal management pipe dream. Okay, so we’ve gone through several ways kanban can look, be used, and operate. We’ve discussed ways to prioritize work. But we have yet to address how to measure (gulp) performance. But what exactly is “performance,” and why do we care? 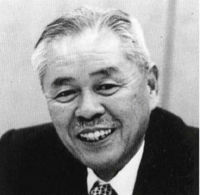 Toyota’s Taiichi Ohno is credited with the initial deployment of kanban, and the creation of Lean and Just-in-Time management concepts. His goal was to make Toyota the world's leader in automobile production, so he needed some metrics. Ohno understood that simple numbers did not drive performance, but that Toyota's staff and its suppliers needed the will to work better. Along the way, physicist Eli Goldratt came up with the Theory of Constraints (TOC). (You can hear Goldratt say he needs 4 days to define TOC in this video.) His glowing gem of wisdom is that we conceptually overcomplicate problem solving by identifying way too many constraints to arrive at a solution. When we want to get to a goal, we tend to lose the goal from all the little issues that surround it. But, usually there are one or two big constraints that, if solved, will both provide huge results and often solve a lot of the little constraints or make them irrelevant. The beauty of both these messages is that small changes make big differences – if they are the right small changes. What do you need to identify the right small changes to increase the will to work better? Awareness. Personal kanban helps give us that awareness, enabling us to begin to listen to ourselves. A few posts back I discussed retrospectives, how they were vital at the beginning and became less so as we incorporated self-improvement into our normal actions. As you focus less on that massive pile of little nuisance constraints that surround you, and move instead to the high-payoff constraints, you move to what Ohno calls a “kaizen” state. You begin to continuously look for ways to improve your quality of life. Please notice, I’m not telling you how to improve your life or even suggesting what improvement looks like. That’s totally up to you. If you want to work towards helping to save the rainforests, that’s fine. If your goal is smoking 10 cartons of cigarettes a day while watching cage fighting...well, I guess someone has to do it. Our goals are our own. They’re not for retirement, they are for living. If you want wifi and code, you design your life to allow wifi and code. If we can clear the big things that Goldratt calls constraints or Ohno calls waste from our plate, what’s left is a clear and open space to do some real living. In upcoming posts, I will cover a few ways - some absurdly simple, others a little more complicated - for how your personal kanban can tell you some pretty amazing things about how you work. Hidden in those post-its is some pretty awesome insight. In the previous post, we discussed why you would want to measure your performance in Personal Kanban. Today I’ll begin with the most powerful - but perhaps most intimidating - technique. In upcoming posts we’ll look as some less intense methods, so don’t let this post scare you. In kanban for software design, a "cumulative flow diagram" is used to track performance. A big part of the cumulative flow diagram is its ability to visualize how close you are to completion of a large project, and where bottlenecks or waste appears in the process. It’s a very powerful and descriptive tool. Backlog: Items that have yet to make it into the workflow. Priority 3: Items that are coming up in importance. Priority 2: Items that are important. Priority 1: Items that need to be done soon. Working: Items in the process of being done. The Pen: Items that are waiting for external input. Complete: Items we’ve done today. Archive: Items we’ve completed in the past. On this particular day, we completed 96 things in the past, accomplished 2 that day, sequestered 3 in the pen, and so forth. Of course, as time goes on, your archive is going to become bigger and bigger. In a directed project with a finite number of tasks, this is a very important part of the diagram. For personal kanban however, where tasks will build up forever, it shows us how much we’ve done or are capable of doing. Simply from a flow perspective though, we might want to eliminate that part of the diagram. So here, with no archive, we can discern some interesting patterns. First, we see where we complete some serious work. We also notice where we gain a lot more work. So on days where there is a tremendous dip in the number of tasks, in the above chart (but no dip in the first), we know that we moved a tremendous amount to the archive. We can also see where we build up backlog again. So, essentially what we have here are two graphs that show us (1) we are completing work and the number of tasks completed is continuing a fairly uniform rise, and (2) we see the actual variations in our work and when we take work on. Since the chart is a time slice taken daily at midnight, the parts of the kanban with a WIP limit should be uniform, and represented by fairly flat bands, with the only variation coming from “The Pen,” “working,” and “done.” If we have work in the backlog, we should be maintaining a fairly even amount of work in the queue. The diagram illustrates that we've been working to achieve this, and as we’ve worked more closely, the uniformity is starting to manifest itself. What we want to avoid is having the backlog band grow at an alarming rate. We want work there to feed the queue, but if it gets too overwhelming, we then know we have to start saying no to tasks. The time it takes to move a task from backlog to completion is called “lead time.” The time it takes to complete a task when you start working on it is called “cycle time.” “Work time" is how long tasks were on your board, and active. “Wait time” is how long a task sits idle in a queue, while waiting to be moved. In a personal kanban, you might move one or even dozens of tasks across your board in a single day, so for you these are the numbers to watch for variation. If at some point you notice your lead time jumps to 20 days, it’s obvious that you have too much backlog. If your cycle time jumps, something is stopping you from starting work. If your work time jumps, something is stopping you from completing work. If your wait time jumps, something might be stopping you from working at all. So...how do you measure this? At the end of each day, you can track the information in the cumulative flow diagram by counting the cards in each part of the work flow, and entering them into a spreadsheet. For the “times” you can write start and end dates on the cards, and calculate from there. Or you can use Agile Zen - which is where these images came from - and leave the tracking up to Nate.